Qualitative and quantitative components are important in credit risk assessment which together curb the risk of type I and type II errors. It has been difficult for most credit officers to determine the probability of default of a new credit applicant due to limited skills and inadequate information provided to them, thus this lead to many banks failing as a result of being bankrupt due to the poor lending practices. The quality of these loans can be improved by having suitable risk assessment systems and better risk mitigation processes. Risk mitigation process starts from sourcing loan applicants and the loan application goes through several screening process where reliability and assurance factors are very much important. 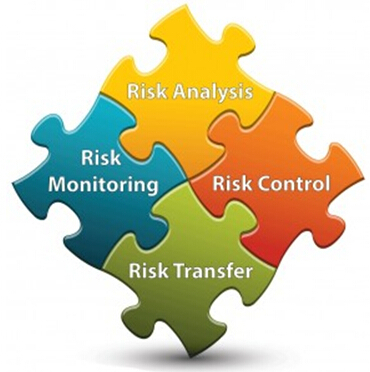 The type of risk assessment system developed depended on how good was the judgment of the current crediting officer and the quality and availability of financial and non financial information that could be used to assess risk. In a recent paper by authors Mutua Jennifer Ndanu, Gichuhi Anthony Waititu, Wanjoya Anthony Kiberia and Muia Patricia Nthoki credit applicants were classified using cluster analysis, artificial neural network and k-nearest neighbor. Using chi square test all these techniques showed their reliability to be used in classifying credit applicants. In the paper Mutua Jennifer Ndanu et. al suggested that qualitative and quantitative components are important in credit risk assessment which together curb the risk of type I and type II errors. Type I error was as a result of classifying a good applicant as a bad applicant hence rejecting their loans, which reduced banks profit. Type II error was also a result classifying a bad applicant as a good applicant providing loans which brought losses to banks. Mutua Jennifer Ndanu et. al found that artificial neural network performed better than cluster analysis and K-Nearest Neighbour in classifying credit applicants considering the overall accuracy rate. Confusion matrix was used in assessing the prediction results because it was easy to understand and also easy to account for the effects of wrong predictions. Mutua Jennifer Ndanu , Student, Department of Statistics and Actuarial Science, Jomo Kenyatta University of Agriculture, kernel regression and feed forward neural network Research, Nairobi, Kenya. Dr Gichuhi Anthony Waititu, Lecturer, Department of Statistics and Actuarial Science, Jomo Kenyatta University of Agriculture, kernel regression and feed forward neural network, Nairobi, Kenya. Dr Wanjoya Anthony Kiberia, Lecturer, Department of Statistics and Actuarial Science, Jomo Kenyatta University of Agriculture, kernel regression and feed forward neural network, Nairobi, Kenya. A paper about the study appeared recently in American Journal of Life Science.